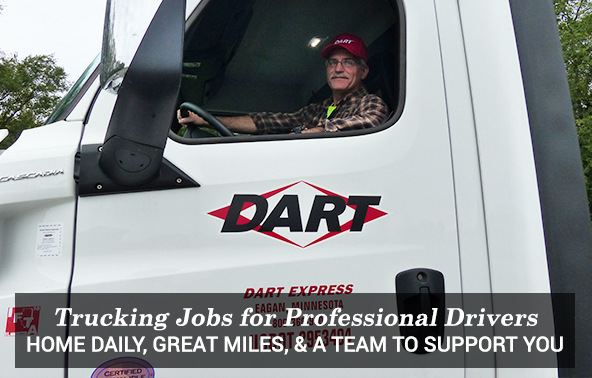 Driving Jobs for Professional Truck Drivers | Dart Express, Inc.
Dart Express, Inc. has dedicated driving jobs for experienced professional truck drivers. Search for your perfect driving job. Truck drivers enjoy driving regionally or on a dedicated route with Dart Express, and getting home to be with their family every day. Get home more with Dart Express. Dart Express' relay system efficiently uses your daily hours of service. That's more miles, consistently. Start trucking with Dart Express. 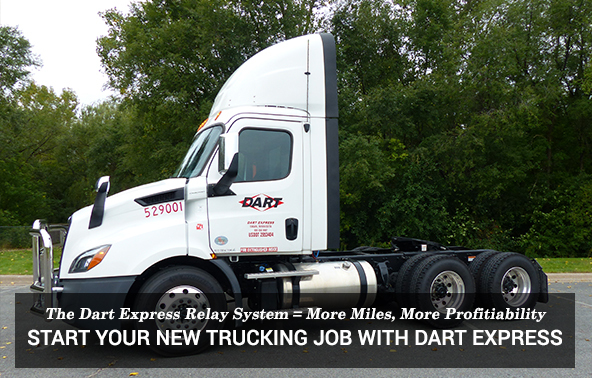 Dart Express has great opportunities for professional truck drivers within its dedicated relay system. Dart Express operates with 140 tractors and over 200 company drivers. Search our current driving opportunities. 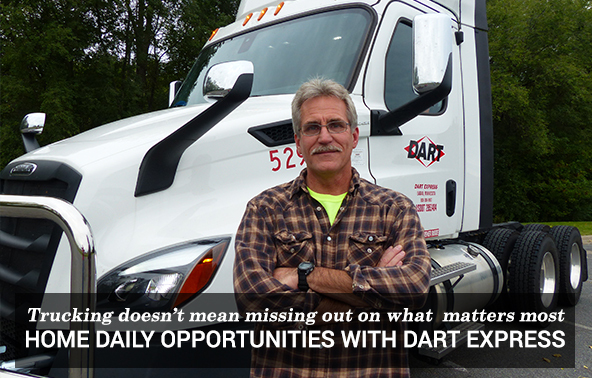 Join the Dart Express team of professional truck drivers. Get started by filling out the application.